Find Lancaster, SC Homes for sale. View Photos, Maps and MLS Data Now! HVAC & water heater 2019 Gated; shed for storage. MLS#3497885. Allen Tate SouthPark. The property is surrounded by large timber tracts for seclusion and Camp Creek as a western border. MLS#3494232. Mossy Oak Properties Land and Luxury. This home is a must see! MLS#3497035. Costello Real Estate and Investments. MLS#3491638. Faith Funderburke Realty LLC. Call now before it's gone! MLS#3496582. Keller Williams Fort Mill. Walnut Creek is known for it's resort style amenities and access to recreational park facilities! MLS#3490748. Keller Williams Fort Mill. 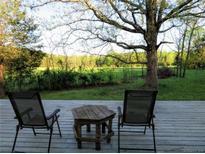 It backs to the private & wooded green space and provides access to the Carolina Thread Trail. MLS#3494182. Berkshire Hathaway HomeServices Carolinas Realty. Whitehall - Home is on over a half acre a land and is great for entertaining or you can take a short walk to community pond. MLS#3496447. Mark Spain Real Estate. Sits on a large lot, detached single garage/workshop. Check this one out! MLS#3497182. Stephen Cooley Real Estate Group. The pool is functioning but being sold as is. MLS#3490827. Coldwell Banker Residential Brokerage. Millstone Creek - Every feature of this house was planned and built in exacting detail, and you will be thrilled to call it your home. MLS#3488560. R. W. Price & Associates, LLC. Downstairs, cozy up in the great room w/large masonry fireplace, 2 bedrooms downstairs. All new carpet & paint throughout! MLS#3496494. Sun Valley Realty. This home qualifies for 100% financing, so don't miss out! MLS#3492166. Keller Williams Fort Mill. Come out and see all this home has to offer.. MLS#3496319. Keller Williams Fort Mill. Home is close to so many shops and restaurants! Come see this home today! MLS#3495679. Southern Homes of the Carolinas. Community offers olympic sized pool, fitness center, & so much more! MLS#3495209. EXP REALTY LLC. Lower Lancaster County taxes in the Indian Land area, close to Waxhaw, Fort Mill, and the Ballantyne area, location, location, location! MLS#3483725. Wilkinson ERA Real Estate. See video tour for even more details on this great property! MLS#3495126. Studio 1 Realty Inc.
Bring Offer Today! This One Will Not Last! MLS#3495626. Wilkinson ERA Real Estate. Come see everything this home has to offer! MLS#3494797. Keller Williams Fort Mill.